Psychometric Assessments by solved hr - human resources solved! Psychometric Assessments by solved hr - human resources solved! We believe that knowing as much as you can about potential new employees or your existing employees is the key to working towards engaging and motivating staff within any organisation. There are many psychometric assessments available that provide low-cost solutions which provide you with far more information for making important recruitment and promotion decisions as well as improving working dynamics. 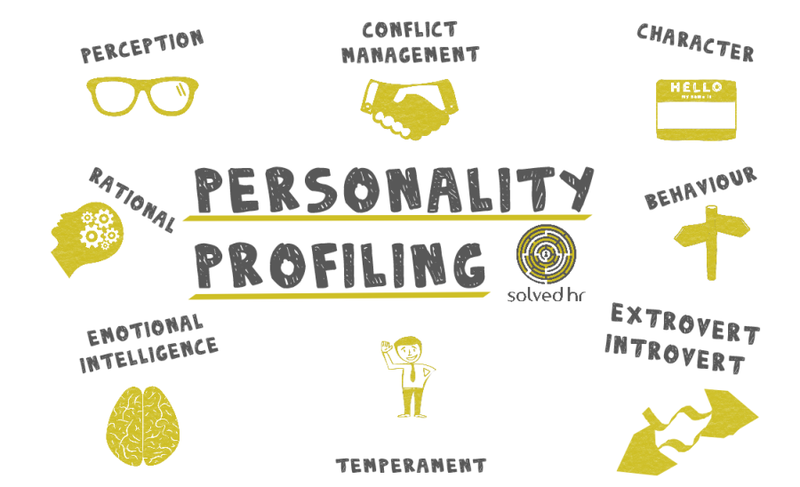 At Solved HR we use Personal Profile Analysis (PPA); Emotional Intelligence (EI) as well as aptitude tests for specific positions. PPA – using Personality Profile Analysis (PPA) will help match the right candidate to the right job especially when a Job Analysis is created for comparison. PPA’s are an excellent tool to show you the person’s personality type, their preferred working styles, their preferred communication styles, how they are likely to perform under pressure, what motivates them and what their likely fears are to be. When recruiting Managers and Leaders it is also advisable to assess an individuals’ emotional intelligence. More and more organisations see this tool as being a highly affective predictor on how an individual may perform when leading their teams. Leaders that display a well-balanced emotional intelligence are more likely to be affective at managing and motivating their teams to perform to a higher level benefitting all areas of the business. We also use these tools to help people in their own personal development. Identifying their own personalities and emotional intelligence helps to raise their own awareness and put into place coping strategies for those areas that need addressing to perform their role more effectively. They are particularly effective when used to help coach and develop people to communicate and interact with their colleagues more effectively.